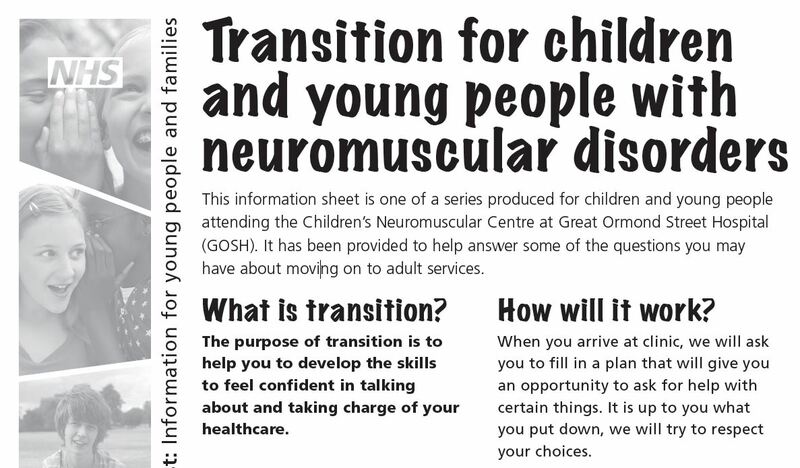 This is a leaflet developed by the neuromuscular team at Great Ormond Street Hospital to prepare young people for their transition to adult services and has useful information about being seen alone for the first time. It contains useful advice for young people and their parents about what will happen to them at medical appointments during the transition period. It can be adapted to help manage expectations and answer questions about being seen alone without parents or carers.